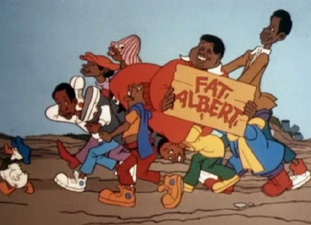 You can't have a list of Black cartoon characters and not include Fat Albert and the Cosby Kids. 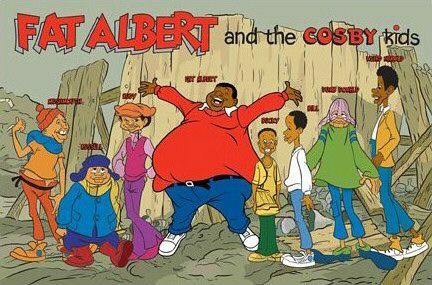 Created by Bill Cosby himself as part of one of his stand-up routines, this show was one of the longest running cartoons with a Black cast. Bill Cosby voiced many of the characters, even a young version of himself. The actual cartoon began as a special for NBC but was later rejected as a series because it was too educational. Bill Cosby got a new production company, Filmation, and took the show to CBS who ultimately picked it up. 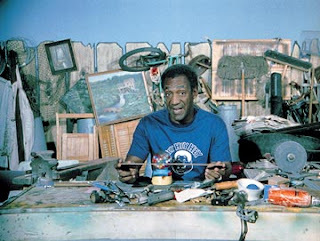 The cartoon show stared a live action Bill Cosby whose segment ran before and after each episode. He helped explain the educational/moral portion of the story. There was also a laugh track as well as music. The characters called themselves the Junkyard Gang which is where they hung out most of the time. They also had a band and, at least in the earlier episodes, would perform a musical number using instruments made out of junk. The show appealed to low income Black families but also apparently had an impact on children regardless of race. The series lasted for 12 years (from 1972 to 1984), though not in continuous production. All in all there were 110 episodes plus 4 specials and of course, a movie in 2004. The show changed a bit each season as it began to deal with more serious content and even introduced it's own Superhero called The Brown Hornet.